Award-winning Shnuggle have launched a brand new, innovative bedside crib – the ‘Shnuggle Air Bedside Crib’ which is really clever as it’s the only bedside crib-to-cot from birth to beyond – so if you’re like the Duke and Duchess of Sussex who are expecting their first baby this Spring, this could be a great babylist gift! The Shnuggle Air Bedside Crib provides a safe, close and cosy sleep space from birth, but is uniquely designed to grow with baby; converting to a stylish cot for toddlers up to 2 years of age. It has a really good mesh sided help to maximise airflow as well as allowing parents to keep a watchful eye on baby. The Shnuggle Air has 7 height adjustments so fits most bed heights and attaches securely and easily to most standard bed frames. The uniquely designed airflow mattress has a hypo-allergenic fibre core which is 50%* more breathable than standard foam mattresses, helping to reduce the risk of baby overheating. The Shnuggle Air also uses baby safe, hypo-allergenic fabrics which can all be completely removed and handwashed, phew! The Shnuggle Air features a gentle incline option to help ease colic and reflux as well as a zip down side to easily feed or comfort baby during the night and there’s a storage hammock underneath for handy storage space for night-time feeding and changing bits. 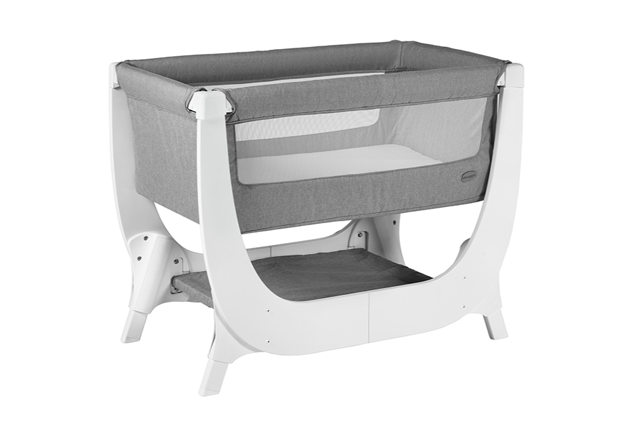 In a choice of two beautifully neutral fabric colours – Dove Grey and Stone Grey – to complement any nursery or master bedroom decor, the Shnuggle Air is easy to assemble and can be used as a bedside crib or standalone, providing the perfect solution for parents who want safety, quality and comfort for their baby right up to cot-to-bed transition. The Shnuggle Air is available from John Lewis and other UK nursery retailers from March 1st. 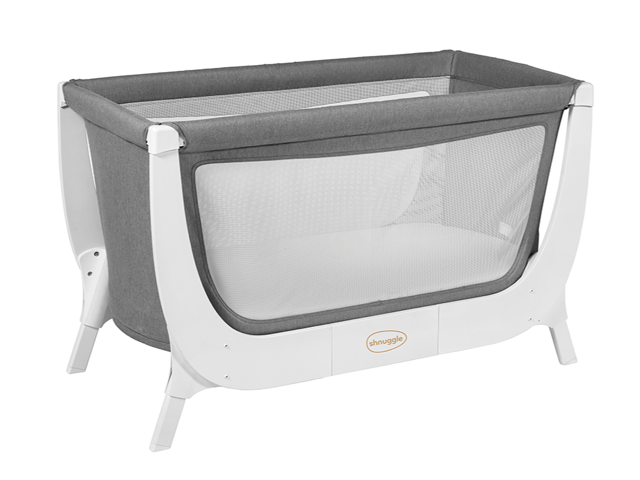 Shnuggle Air Bedside Crib has an RRP of £199.95, with the Shnuggle Air Complete Sleep System at RRP £320.